The Philip G. Ball Company, known for decades as the leader in produce sales, proudly announces the addition of "Certified Organic" Produce*. The word on the street is that organic products are in. Consumer trends indicate that more and more people are willing to pay a few extra dollars to buy what they perceive as a healthier more environmentally friendly product. The numbers show that organic consumption is increasing to the the tune of 20% annually. Some analysts predict that Organic Produce consumption will more than double by 2011. 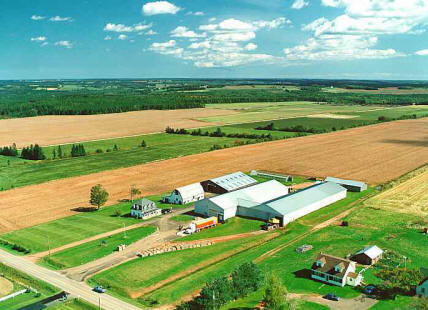 Certified Organic is evidence of the operations adherence to a prescribed system of agriculture and food production that involves the building and enhancing of the soil naturally, protection of the environment, humane treatment of animals and the avoidance of synthetic substances. agricultural practices demands unprecedented dedication by the farmers, handlers and retailers of the Certified Organic products allowing you to enjoy products "Fresh from the Earth". How do I know if a product in the store is organic? Any product that represents itself as Organic is required to display the certifying agencies logo on the label. Look for that name or logo. A product that is at least 95% organic may also use the USDA Organic Seal. Who enforces the National Organic Program? The USDA, accredited certifying agencies, and where applicable, approved State Organic Programs are responsible for the enforcement of the national regulations. 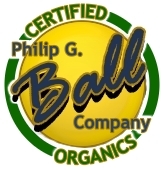 For more information on the Certified Organic program and products available to you call or email the Philip G. Ball Company. We dedicate ourselves to providing you with the latest information available. *The Philip G. Ball Company makes no claims either expressed or implied that the Philip G. Ball Company is a federal, state of local agency of certification. The Philip G. Ball Company is not a certified organic farm. The Philip G. Ball Company is merely a facilitator of sales from farm to market. For more information on certified organic farming please visit the USDA website at http://www.usda.gov. REPORT BROKEN LINKS HERE Copyright © 2006-2007 Philip G. Ball Company. All rights reserved.